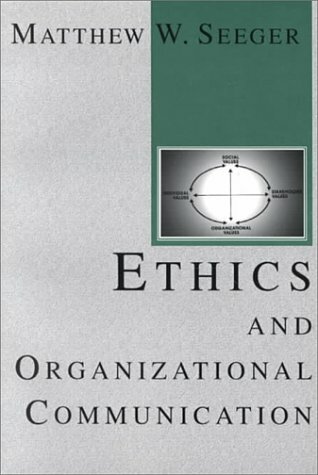 This volume seeks to integrate divergent themes related to organizational communication ethics. It focuses on ethical equivocality, responsibility, accountability, privacy and employee rights, whistleblowing, advertising, organizational change, and leadership. Crisis and Risk Communication , International Encyclopedia of Communication , Journal of Health Communication Research , Journal of Applied Communication Research , and the Journal of Organizational Change Management , among many others. Seeger is the author or co-author of five books on crisis and risk communication.